Ann Bates, a schoolteacher in Philadelphia, was married to Joseph Bates, a British soldier and artillery repairman in General Henry Clinton’s army. In 1778, her husband joined the British troops who evacuated Philadelphia and marched to New York City. Claiming to be a patriot, Bates passed through the American lines and followed the army to New York. Bates felt it was her duty to seek out information on illegal colonial activity and report back to her husband’s superiors. From her husband she learned to identify the weaponry and report on important military information such as the numbers of cannons, men and supplies. In New York, Major John Andre was appointed an aide to General Henry Clinton, the new commander-in-chief. Clinton had confidence in Andre’s resourcefulness and discretion, and assigned Andre the coordination of British intelligence activities in the New York area. Under the cover name ‘Mrs. Barnes,’ Ann Bates became a Loyalist spy in Major Andre’s spy ring. Andre sent her to American army headquarters at White Plains, New York, where she listened in on conversations, checked gun emplacements and assessed the strength of the American units. She also taught other spies how to locate safe houses as they made their way back to British-held territory. I had the opportunity of going through their whole army remarking at the same time the strength and situation of each brigade, and the number of cannon, with their situation and weight of ball each cannon was charged with. At that time women were allowed to come and go where they pleased because military authorities did not think that women could comprehend the significance of what they saw. This particular thinking gave Bates the ability to wander throughout American camps, recording vital information concerning equipment and logistics. Her information was accurate and her missions were dangerous. At times Bates changed into the clothes of a male peddler selling thread, needles, knives and utensils to the American camp followers. This disguise allowed her to stay behind enemy lines until her wares were sold. 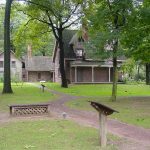 In this manner, she traveled through Patriot camps, gathering information and meeting with other loyalist sympathizers in the American army. 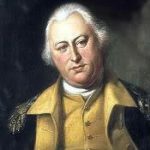 Bates went back to Washington’s headquarters in White Plains, and overheard one of Washington’s aides say that boats were being prepared for landing on Long Island and that part of Washington’s troops had already left for Rhode Island. Bates was back in New York to warn Clinton of the American troop movements, and her information influenced Clinton’s decision to send more men to defend Rhode Island, forcing the American and French armies to withdraw from Newport. On one occasion Bates was arrested, searched and imprisoned but eventually released because no one thought that she could possibly be a spy. She caused substantial damage to the Revolutionary cause and was well rewarded by the British for her efforts. 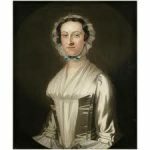 On May 12, 1780, Bates requested to leave the espionage ring and join her husband, who had accompanied the British Army to Charleston, South Carolina, and there her espionage career ended. The couple sailed to England in 1781. Later deserted by her husband, she successfully petitioned for a small pension for her work in America. There is not much information available about the women who spied for the Loyalist (British) cause, though they certainly played a role in the American Revolution. Women were often able to overhear secret information because men believed that women were incapable of understanding the complexities of military strategy. What was Joseph Bates’s, Ann Bates husband, last name before he got married?